Invest in the future of medicine online and help ensure the safety of the patient on and offline. Preventing patients ordering prescriptions with multiple online pharmacies. Identifying counterfeit drugs and preventing their distribution into the Pharma chain. Alerting patients instantly when a drug or medicine is recalled. The overuse of prescription medication is increasing dramatically. This is because there are no control mechanisms in place to prevent patients purchasing prescribed medication from multiple sources, specifically in the private sector. Currently, it is possible to be prescribed the same medicine from one or more online pharmacies as well as your regular NHS doctor. Counterfeit drugs are increasingly available, and it can be difficult for the patient to establish provenance. During the Casodex, Plavix and Zyprexa scandal of 2007, the Medicines and Health products Regulatory Agency (MHRA) seized 40,000 packs of fake medicine before they were distributed to pharmacies, but 25,000 packs reached pharmacies across the UK and were dispensed to patients. Following a recall, a further 7,000 packs were recovered. After seeing first-hand the potential impact that the oversupply of medication, via NHS and private routes, can have. In January 2018 two online pharmacy owners and a superintendent pharmacy, discussed what could be done to stop these patients buying across multiple on and offline pharmacies. “How can it be possible that a patient ordering a prescription from my website can then go on to your website and be prescribed the same medication 10 minutes later”? why is data not shared / why is the medication not flagged on a record? This is a question Joe Soiza asked his superintendent pharmacist along with his partners Eddie Dandy and Jason Timms another online pharmacy owner when they met to discuss the growing problem of drug dependency and addiction. Jason then approached the MHRA, who internally discussed his proposal to have a single shared database to identify potential over prescribing. Impressed with the solution, they pointed him towards the CQC and Public Health England who were conducting a review of prescription drug addiction at the time and still are. Dissatisfied with slow responses, Joe, Jason & Eddie decided to invest in a solution to the problem and working with their independent teams they eventually collaborated and formed MediConnect. Stratis were approached for advice and as a potential platform to use however, Chris Trew the CEO of Stratis was so impressed with the solution and opportunity to prevent dependency and potential addiction of prescription drugs, he joined the MediConnect team as advisor and Stratis will now provide a bespoke blockchain solution. Learn more about who we are and what we do in our latest whitepaper. MediConnect is the only blockchain solution intended to revolutionise the use of medication in the UK. It will prevent the over-prescribing to patients of medication from multiple pharmacies, reduce addiction, provide traceability of drugs from manufacturers, wholesalers, prescribers and pharmacies all the way through to patients. This will enable the removal of false medicines and the easy recall of drugs within the Pharma system. It will prevent the over-prescribing to patients of medication from multiple pharmacies, reduce addiction, provide traceability of drugs from [expander_maker id=”1″ more=”Read more” less=”Read less”]manufacturers, wholesalers, prescribers and pharmacies all the way through to patients. This will enable the removal of false medicines and the easy recall of drugs within the Pharma system. Brits were prescribed opioids in 2017 – an 80% rise on the 2007 figure. With all the regulatory bodies within the Pharmacy sector recognising and concerned about the growing issue of over-prescribing of prescription medication online, MediConnect can offer a solution to this growing problem almost immediately. ‘In comparison to the highly regulated world of general practice, these providers seem to work in a “wild west” beyond the reach of many regulators. Their prescription records are accessed by all healthcare professional services to assess their medical history, suitability for supply and prevention of over use. Ability to scan with mobile application their medication for verification of provenance / health warnings and False Medicine and for potential drug recalls. As part of the MediConnect offering, the MediConnect Payment Gateway will cater for seamless conversion of MEDI Token to fiat currencies, allowing pharmacies to avoid incurring high costs associated with traditional methods. Ultimately, these savings can be passed down to the customer. The MEDI Token will be utilized in loyalty and reward schemes of participating pharmacies, allowing consumers to acquire and earn rewards with pharmacies who enrol with the loyalty scheme. This ensures that consumers get the best price for the products they purchase. Innovations within the drug manufacturing industry will enable the creation of unique ‘drug serial codes’ on certified drugs. By utilizing MediConnect Provenance, consumers of certified drugs can ascertain the authenticity of the received item. The MediConnect Supply Chain solution will enable the tracking of drugs from creation to distribution. This solution results in definitive drug recalls and provides complete transparency throughout the movement of drugs. Starting in the first quarter of 2019, following the ICO, MediConnect will commence working with two online pharmacies in the UK. The blockchain solution will start integrating with UK Meds and Tower Health & Pharmacy based in Nottingham. This trial, the first of its kind, will provide 360,000 patients the opportunity to have their records stored securely on the blockchain with 50,000 transactions being added every month. UK Meds has quickly established itself as one of the UK’s largest online pharmacies, having dispensed nearly half a million prescriptions to a patient base of 200,000. Tower Health & Pharmacy have been established as a health provider for over 18 years, offering both alternative solutions as well as NHS and private prescriptions. The priority for both these pharmacies is duty of care. This, combined with their rapid growth and ability to invest in IT solutions to improve patient outcomes, places these two pharmacies as the clear choice to be the first to launch on the MediConnect platform. They understand that success in a patient-centric business, delivering services that are fundamental to their customers’ wellbeing, depends not only on operational excellence, but also on collaboration with the NHS and other stakeholders across the supply chain. The blockchain solution will start integrating with UK Meds and Tower Health & Pharmacy based in[expander_maker id=”1″ more=”Read more” less=”Read less”] Nottingham. This trial, the first of its kind, will provide 360,000 patients the opportunity to have their records stored securely on the blockchain with 50,000 transactions being added every month. The MediConnect Live pilot is in partnership with the newly formed Addiction Safeguarding Committee. The ASC is a collaborative not-for-profit organisation. The initiation of a Feasibility Trial to include 8-10 local private and NHS pharmacies to scope the data concept in the real world. The creation and mandatory use of “one” evidential-standard and “tamper-evident” transaction records that are highly distributed and potentially visible to all in the chain of distributing and prescribing. Identification of a protocol that can be extrapolated onto a national stage. 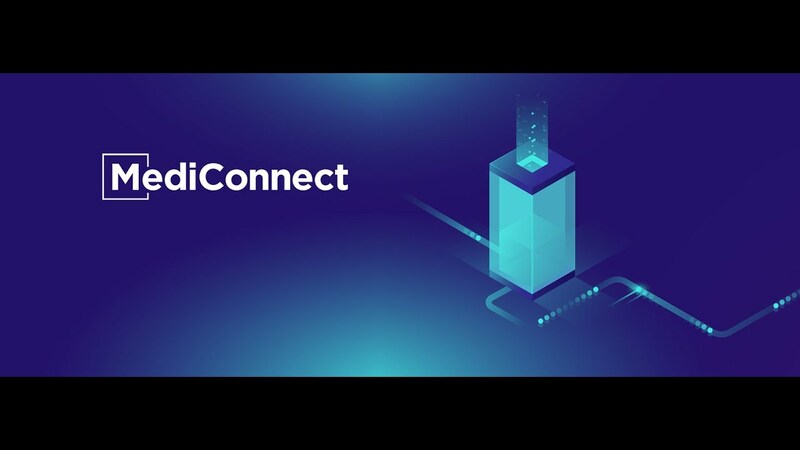 MediConnect have agreed a contract with the newly formed Addiction Safeguarding Committee, providing the blockchain solution to help them meet their challenge through a pilot scheme to share data across both independent and NHS prescribers & Pharmacies in the East Midlands. Members of the local Healthcare professional bodies, CQC, LPC, GPhC, and Public Health England have been invited to meet to scope out the framework for the Addiction Safeguarding Committee within the Nottinghamshire area, under the Chairmanship of Professor John Hunt, BSc, PhD, DSc. FRSC. The purpose of this collaborative ASC working group is to identify, analyse, report on and recommend requirements to local health authorities to help address prescription drug addiction challenges through the better use of quality data across a community of local government, industry, local organisations and patients. MediConnect is quite clearly best placed to support the requirements of the ASC, to not only reduce time and monetary cost for healthcare providers, it could also improve ‘Patient Confidence’ in the system, as well as fulfilling the professional ‘Duty of Care’. MediConnect have agreed in principle a 5-year service agreement to support the requirements of this local initiative starting in Q2 of 2019. In 2017 the Lord Holmes report ‘Distributed Ledger Technology for Public Good: leadership, innovation and collaboration’ and the HMG Government Office of Science report ‘Distributed Ledger Technology: Beyond blockchain’ look forward and call for several enablers to exist to support development of DLT across governments organisations, law enforcement and industries, including consumers. The BBFA are co-organising and supporting a number of community-specific collaborative working groups to support the Lord Holmes’ call to action. An official BBFA Prescription Drug Addiction working group has now been formed by MediConnect with Jason Timms as Chair, which will meet monthly to form a set of governance principles around the sharing, management and protection of this data to enable supply chain collaboration and innovation; and generation of regulatory compliance data as a by-product of normal business data. As MediConnect is a steering group with in the BBFA, we sit on the other working groups to ensure we stay compliant and ahead of proposed regulatory change. Identity, Privacy, Assurance, Cybersecurity and Data Quality group participation will keep us close to this change and ensure our blockchain solution will be adopted in the Pharma sector. All the major regulators have been invited to contribute to the framework of working group to enable MediConnect’s vision of the blockchain solution eventually being the gold standard solution. Establish risk mitigation requirements to prevent patient manipulation of GPs and prescribing organisations. The Working Group will also benefit from the latest information on developing standards and international activities. MediConnect are members of the BBFA. The BBFA is tasked with Contributing to Lord Holmes Report ‘Distributed Ledger Technologies for Public Good: leadership, collaboration and innovation’, which builds on UK Government Office for Science (Sir Mark Walport) ‘Distributed Ledger Technologies: beyond blockchain’ (BBFA co-authored). In 2017 the Lord Holmes report ‘Distributed Ledger Technology for Public Good: leadership, innovation and collaboration’ and the HMG Government Office of Science report ‘Distributed Ledger Technology: Beyond blockchain’ look forward and call for several enablers to exist to support development of DLT across [expander_maker id=”1″ more=”Read more” less=”Read less”] governments organisations, law enforcement and industries, including consumers. Dexter Blackstock had a 14-year career as a professional footballer, playing for Southampton, Queens Park Rangers, and Nottingham Forest. He has also played at the international level for the England Under-21 side and the Antigua and Barbuda national team. Following his successful sporting career, Dexter has focused on new technologies and how they can be applied to the pharmaceutical industry. Joe Soiza has already built UK Meds into one of the UK’s largest private prescribing online pharmacies in just 2 years. He is an accelerated growth specialist with a detailed knowledge of prescription processes used in consumer healthcare. Jason Timms has a proven track record growing healthcare businesses from the initial concept all the way to the market. Functioning either as the manufacturer or as a business advisor, he has, in the last 10 years, been behind over 2 million medical devices sold through NHS healthcare, the UK private sector, and health retailers worldwide. Jason has a thorough understanding of both the retail and wholesale sides of the pharmaceutical industry. Chris Trew is the CEO and Founder of Stratis Group Ltd. and the sole visionary behind the .NET Blockchain Solution that Stratis Group Ltd. offers. Chris has been innovating within the blockhcain space since 2013 and soon thereafter, concluded that there was a gap in the market for an enterprise solution, utilizing languages and frameworks that were familiar within enterprise environments. In addition, it was evident to Chris that there were no consultancy practises that were offering services for platforms that have been fully developed in-house. Chris’ eagerness and determination to deliver such a solution resulted in the inception of Stratis Group Ltd., a flexible, extendable and enterprise focused Blockchain Solution. Chris leans on his experience from working in blue-chip companies as a technical architect and consultant to design and deliver Blockchain Solutions on the Stratis Platform. Chris will continue to be a part of the MediConnect Advisory Team and will oversee the architectural design decisions when further developing the MediConnect Blockchain Solution. Shyam Morjaria is a versatile individual, with a background in the pharmaceutical wholesale business, who serves in a multifaceted role for UK Meds. He has a talent for negotiation and networking combined with a clinical expertise. He was previously appointed a Responsible Person (RP) for Good Distribution Practices (GDP), which is a requirement for wholesale distributors. Samuel Ogunsalu has a background in scientific research and has over 20 years’ experience in technological commercialization, licensing, and business development. His work has involved companies such as Mersk, GSK, and Pharmacia. Samuel has functioned in an advisory role to private and listed companies in both the UK and the USA, and, in addition, he has also set up joint ventures, start-ups, and spinout companies to develop novel technologies. Eddie Dandy has 30+ year’s experience in strategic and organizational change management. He is a board member of Healthwatch Nottingham and also the chair of Self Help UK, which is a professional body/charity liaison. using new technologies, such as blockchains, DLT and AI. EU Project MAPPING on Internet Governance and Privacy. ISO and ITU-T international standards. authenticating users but without sharing any data. Conceived Idea and scoped out requirements of a Prescription Drug Addiction Database. Agreed blockchain platform partnership with Stratis. Presented idea of a regional trial of East Midlands Pharmacies with newly formed Nottingham Addiction Safeguarding Committee. Jason Timms appointed chair of the official Prescription Drug Addiction (PDA) Working Group with the BBFA to tackle over prescribing, drug recalls, counterfeit drug reduction. Agreed contract start date with ASC Nottingham for Q2 2019 and the onboarding of 2 Pharmacies to MediConnect. Attended all Chairperson Meeting of the BBFA working groups to look at collaborative opportunities of the PDA on legal, identity, master data, assurance and Cybersecurity working groups. MediConnect is a Blockchain Solution, that Will Revolutionise the Use of Medicines in the UK. MediConnect Secures Partnerships with ASC, BBFA and Participating Pharmacies Ahead of ICO.